Buses in Myanmar come in various kinds and sizes. There are the luxury-type air-conditioned ones (express buses), neat buses but with no air-conditioning, ordinary local buses, and mini-buses that are supposed to seat only 32 passengers (but there is always room for more, of course). The express buses are usually for long trips, so they are also the most comfortable type. The older buses with no air-con are for shorter rides between towns or nearby cities. The local buses and 32-seaters are for even shorter distances—imagine these vehicles running along the aisles while packed with locals hurrying to get to their homes, offices, or the market! Public buses, for a fixed rate per passenger, regularly traverse the main avenues of the five largest cities in the country, namely: Mandalay, Mawlamyine, Pathein, Taunggyi, and Yangon. Getting on a train in Myanmar, unfortunately, won’t always take you to your destination faster than you wish. Travel time is longer, for example, when you ride a train on the same routes that buses take. And the ticket is also more expensive. But the perks for taking the train instead of the bus for long-distance travels may be the availability of some basic needs right there on the train: food, bathrooms, sinks, a reclining seat of you’re going for the upper class, and a place to stretch your legs when it’s time to rest at night in sleeper-types. Local residents in small towns have horse carts and bicycle trishaws or saiq-ka(three-wheeled vehicles with the passenger sitting beside the driver on a side car) as their primary mode of transportation. In the countryside, bullock carts are more common with farmers that have to cross fields on their way home. Ox carts and a variation of the traditional trishaws (modern three-wheelers) are also common in these towns. 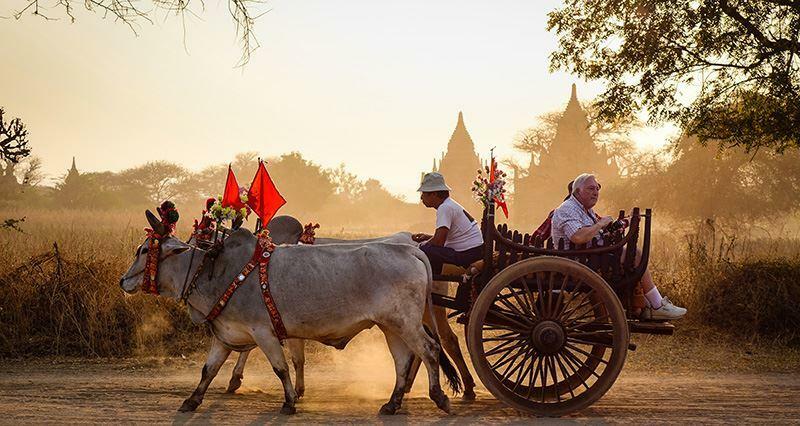 These transports are for tourists to take advantage as well—they are cheap, fast, and can get you around town with the fullest experience of a true Burmese community. Of course, cars and motorbikes are a common sight in the country. But motorbikes are more popular, with over 1.5 million units registered in 2010 while cars, only about 250,000. Car rental is an option for travelers who want to do away with the inconveniences of long-distance bus rides or the more expensive planes. A driver is typically also hired because arranging permits for a tourist to drive himself could be very difficult, not to mention the trouble of complying with other conditions imposed. There are the more expensive tourist cars (USD 80 to 100 per day), the mid-range airport taxis (USD 50 to 60), and the cheaper private cars (USD 40 to 50). Motorbikes can be rented as well, although it is less common, at a cheaper price (USD 10 to 20 per day). 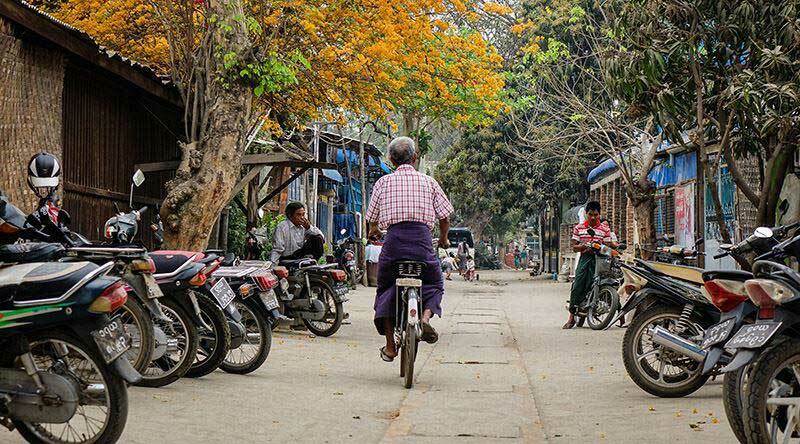 Myanmar may be a big country but, you see, there is always a way around. You only have to be ready for adventure—a little bump here and there on that overnight bus ride or sunshine on your head while you cross fields in the countryside with an adorable bullock pulling your cart.